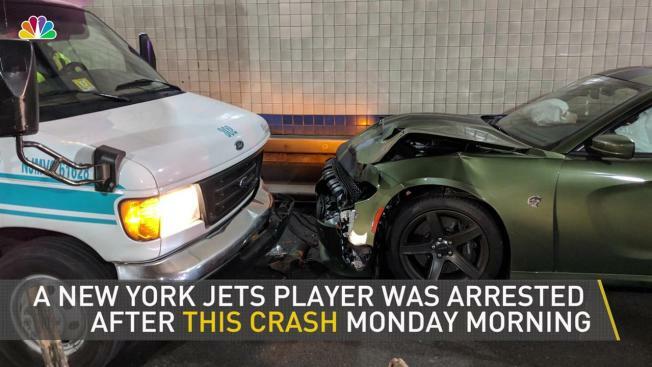 The Jets linebacker was arrested after driving the wrong way into the Lincoln Tunnel and hitting a bus, police said. Photo courtesy: Port Authority Police Department. New York Jets linebacker Dylan Donahue was arrested on DWI charges early Monday morning after allegedly driving the wrong way into the Lincoln Tunnel and hitting a bus. Port Authority police said a driver went around traffic cones at about 2 a.m. Monday and entered the center tube of the tunnel heading eastbound, while traffic was at the time going westbound. The car hit a jitney with 15 passengers, of whom four were taken to hospital with minor injuries. Police said Donohue, 25, failed both a sobriety test and a breath test and was taken into custody. His passenger in the car was also arrested for disorderly conduct. Donahue, a fifth-round draft pick, signed with the Jets last May and played four games before an injury cut short his season. 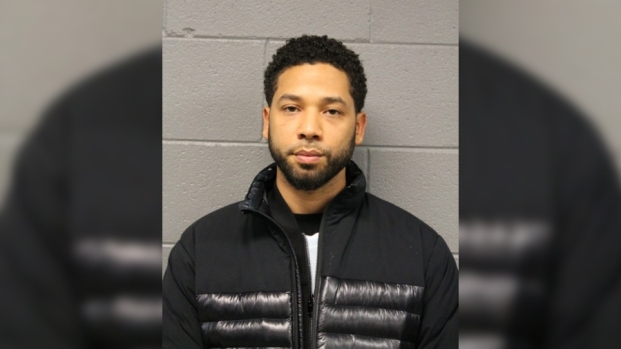 The team was not immediately available to comment on his arrest.